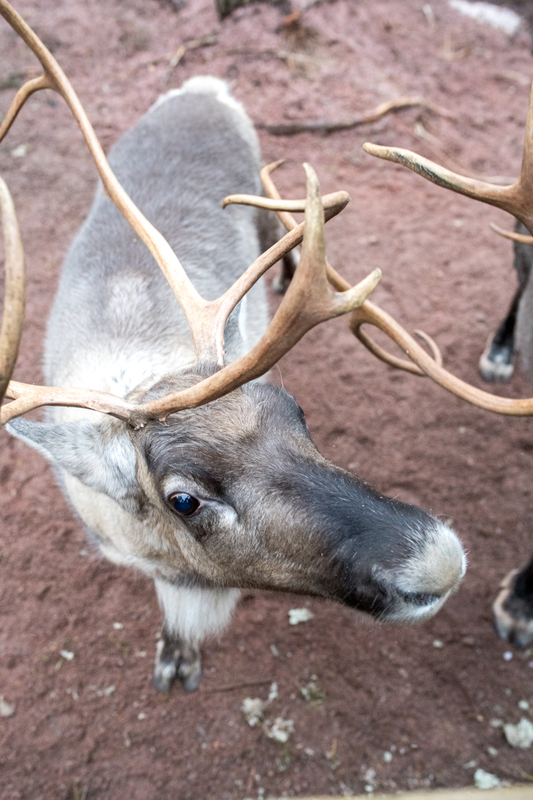 On the fourth day of Christmas, my true love gave to me: four reindeer. 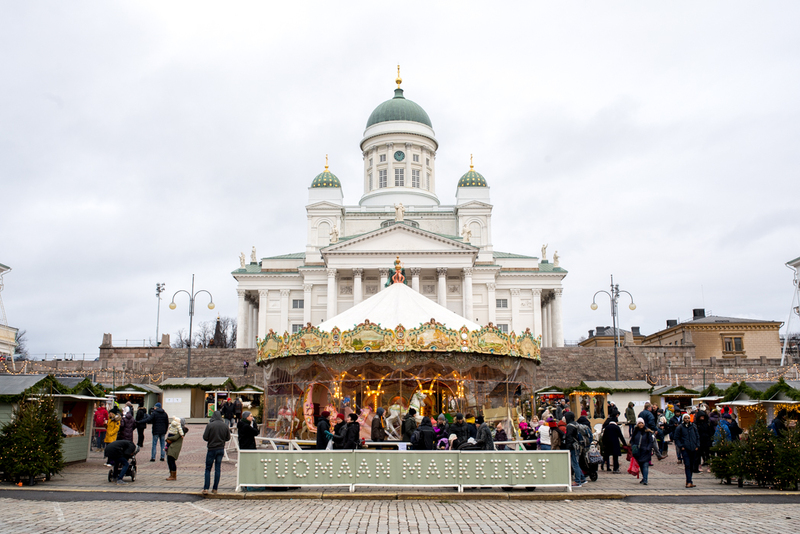 From Stockholm, we sailed overnight to Helsinki. We’ve enjoyed incorporating ferry travel into our world trip, as it feels inherently celebratory, and it’s a wonderful feeling casting away to watch one city recede, sleeping with the gentle rocking of the open water, and waking up with a coffee while watching the new town approach. 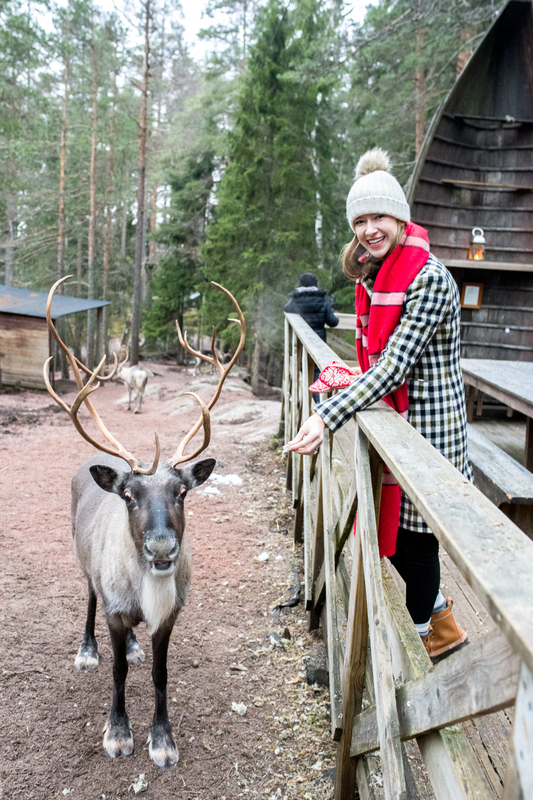 We were so thankful to get to visit Finland on our world trip, even if we only realistically had one full day to experience it. 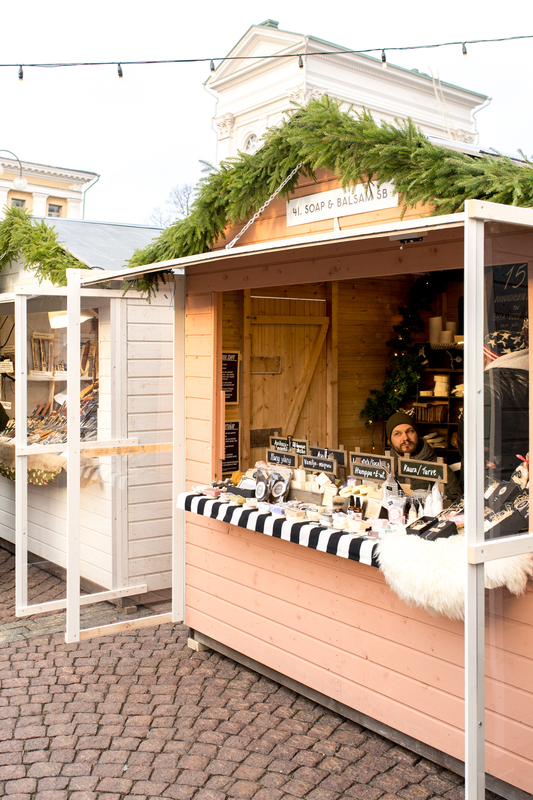 Of the four countries we’ve explored on our #12CountriesOfChristmas tour, Helsinki had the most elegant market. 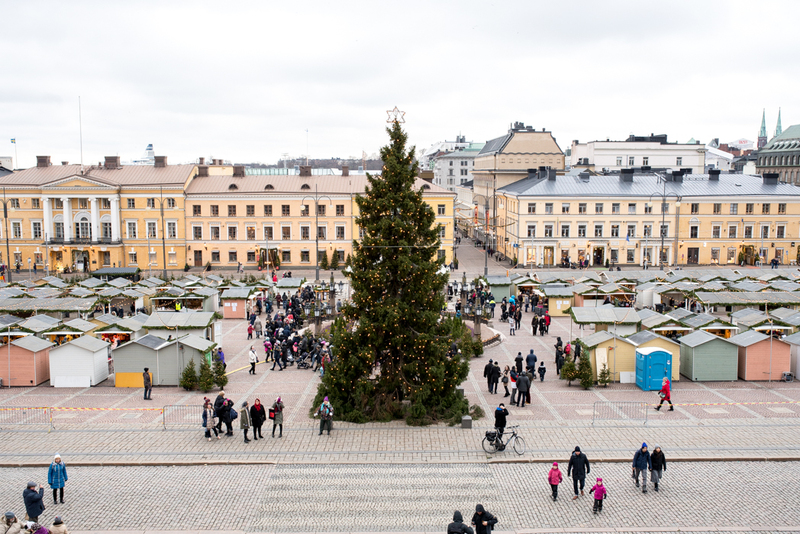 Pastel cabins arranged in neat rows with a simple swag of greenery along the roofline covered the main square beneath the beautiful 19th-century Helsinki Cathedral. 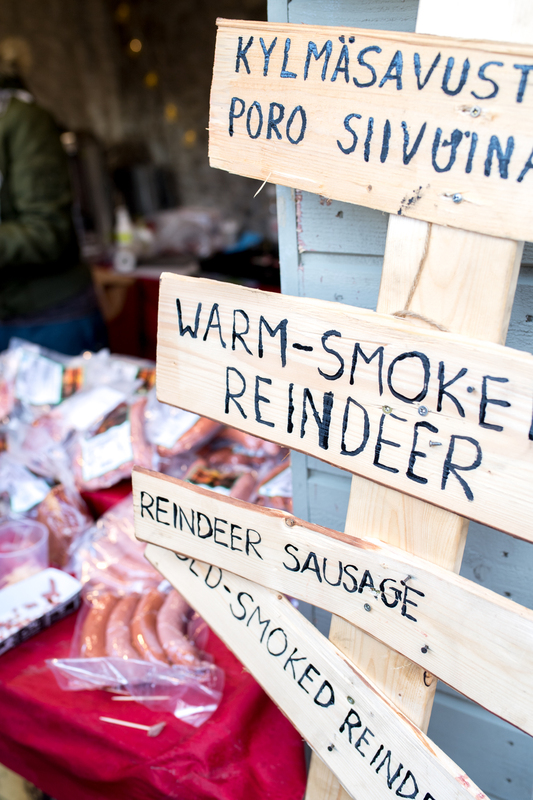 It was incredibly cold and we promptly purchased mugs of hot chocolate to warm us up while wandering the market, stopping to try traditional Finnish treats like karelian pasties filled with barley, reindeer sausage and (more) pickled herring. 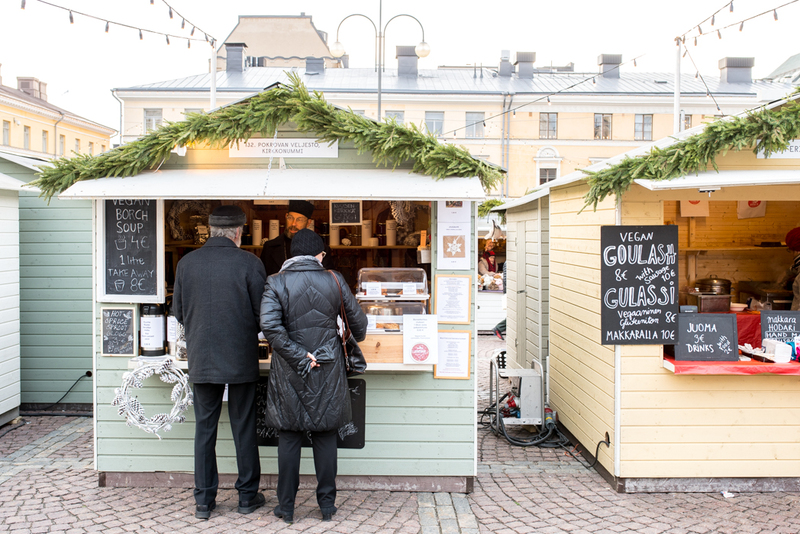 Many Christmas markets throughout Europe offer hot drinks in (slightly cheesy) collectible mugs, and we’re excited to pick up one from each market to remind us in future years of our #12CountriesOfChristmas trip. 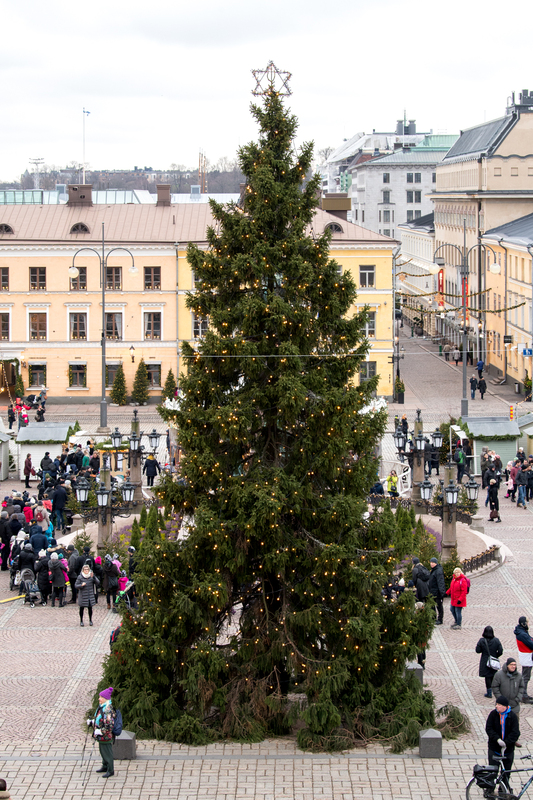 We took our cocoas up to the top of the cathedral steps to take in the birds eye view of the square and broader Helsinki. 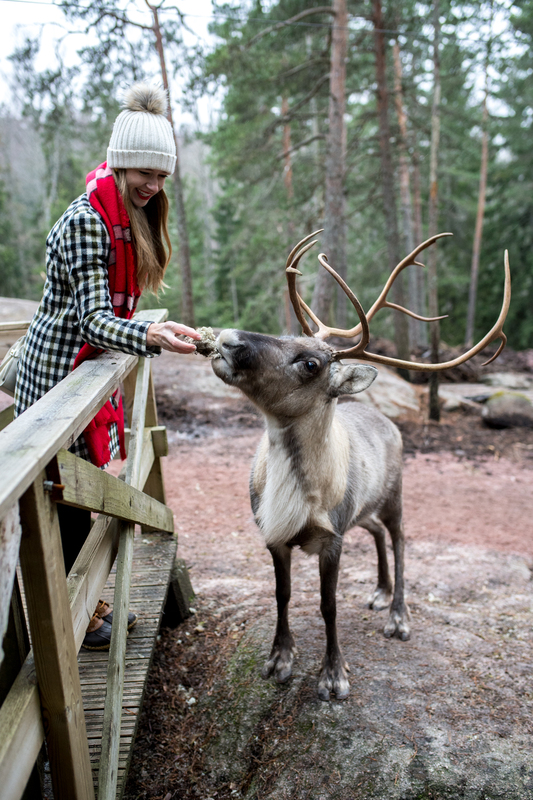 In Norway, we loved the chance to get out of the city and experience nature, so we decided to do the same thing in Helsinki, and set off for Nuuksio National Park about an hour north west of the city in search of reindeer. 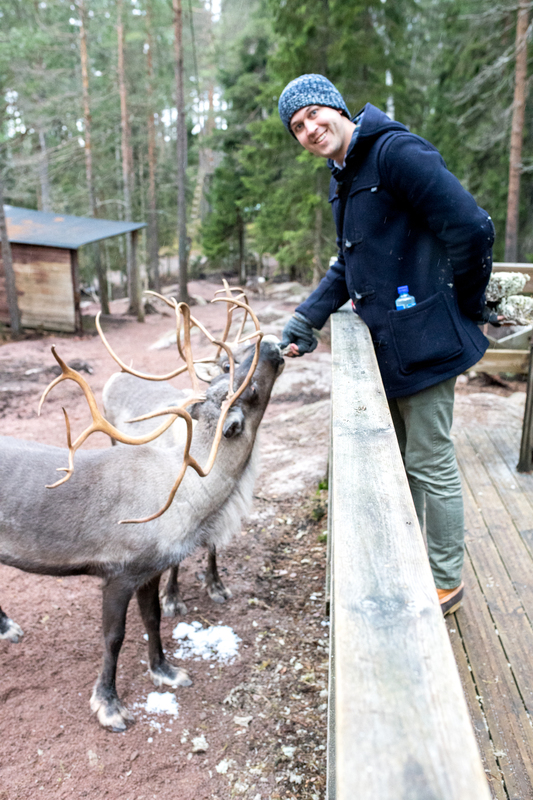 David and I had never seen reindeer up close and in person, but it’s a big part of Finland’s farming industry especially in the north (everything from reindeer sausage to pelts are commonly found). 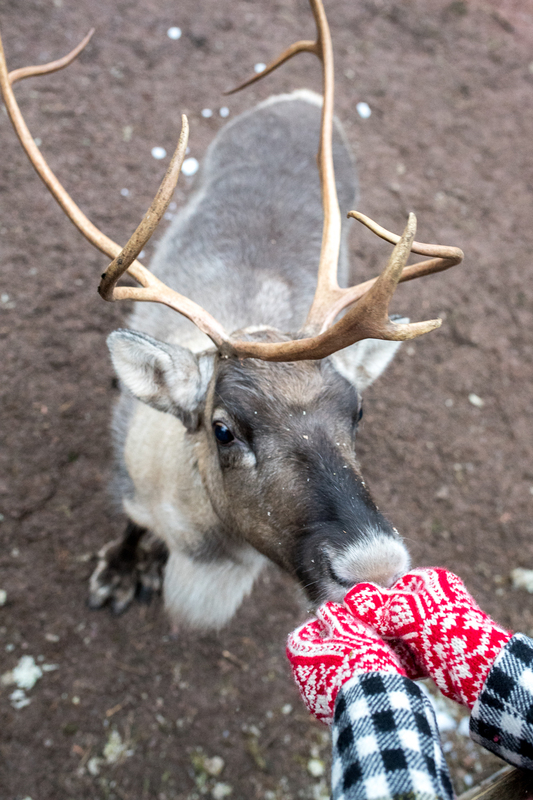 We had a lovely time getting to see and feed reindeer on the outskirts of the national park, they are really whimsical creatures with wild eyes and velvety noses like a horse. (Unfortunately, I didn’t see them fly, however I hear they only do that on Christmas Eve.) Afterward we were invited into a traditional winter housing teepee for cookies and glogg served with almonds and raisins by our host. 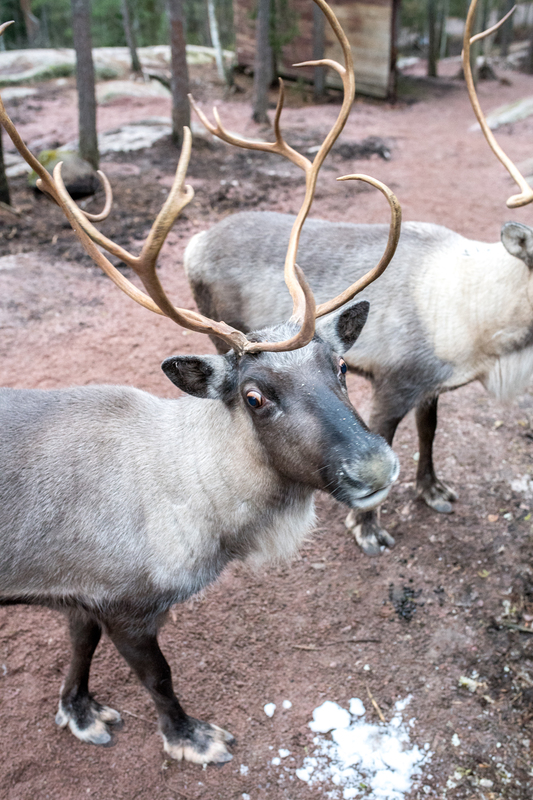 On our next trip to Finland we plan to visit Lapland, in the far north. Lapland is known for it’s deep winters and outdoors activities, as well as spectacular northern lights displays. We were told that in December, it’s still hit-or-miss whether you’d see the lights on any given night, and that it’s best to visit between January through March. We’ll have to make it back one day! 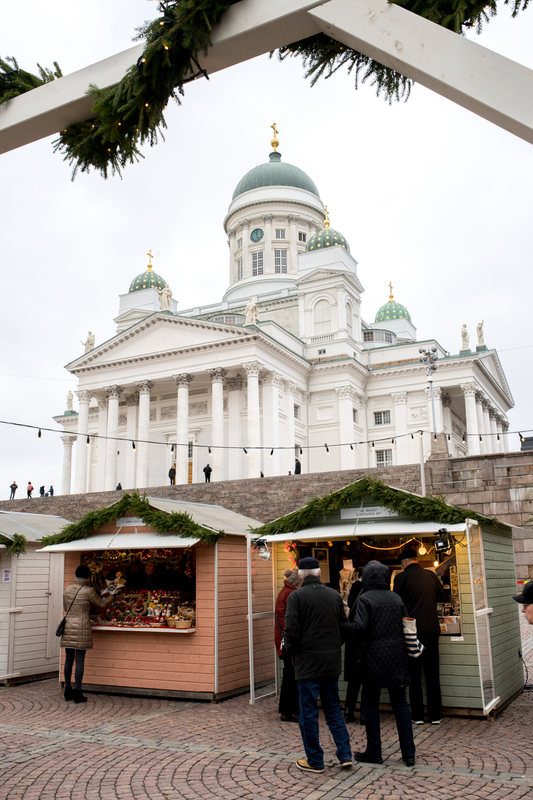 From Helsinki, we boarded our next ferry and sailed for our 5th country of #12CountriesOfChristmas: Estonia.